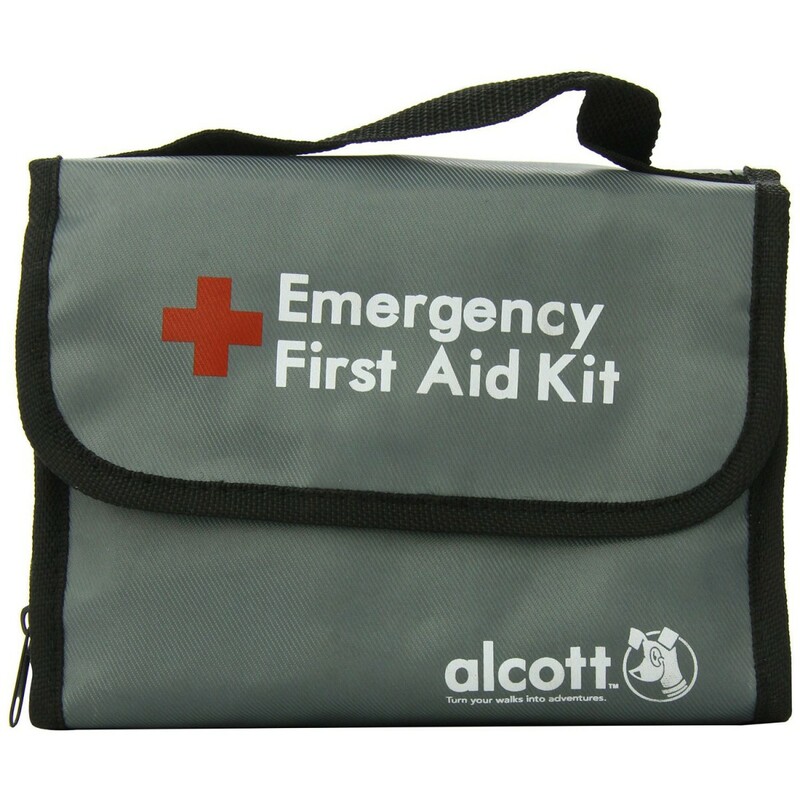 It's packed with helpful medical supplies for both pets and people. The kit will help with minor injuries, cuts, bites and stings. It will also help you stabilize your pet on the way to the vet in case of emergency. The portable design makes it convenient to keep in the car or put in your backpack. Kit Contents: 1 Instant Cold Compress, 1 Emergency Blanket, 5 Band-aids, 1 Pair of Vinyl Gloves (Latex + Powder Free), 4 Alcohol Prep Pads, 2 Sting Relief Pads, 2 Antiseptic Wipes, 1 Rubber Tourniquet, 3 Rolls of Non-Adhesive Dressing, 1 Roll of Tape, 1 Pair of Scissors, 2 Non-Woven Wound Pads 3" x 3", 10 Cotton Tipped Applicators, 1 Oral Syringe, 1 Wood Tongue Compressor, 1 CPR Mask for People, 1 Bottle of Hand Sanitizer 2 oz., 1 Bottle of Saline Eye Wash 0.5 oz., 1 Bottle of 3% Hydrogen Peroxide 3.4 oz., 1 Styptic Pencil, 1 Brush/Comb, and 1 Portable Adventure Bag.